This article was published in the February 2015 issue of Maximum PC. For more trusted reviews and feature stories, subscribe here. Game streaming is huge. It accounts for epic amounts of web traffic and is even an integral part of some companies’ survival strategies. Look no further than Nvidia’s GRID and GameStream technologies, plus the meteoric rise of Twitch.tv’s traffic—it’s now the fourth largest peak traffic producer on the Internet, just behind Apple and ahead of Hulu—to know that game streaming is big business. Regardless of how you define it, there‘s a lot to consider. There are control mechanisms, hardware and software configurations on the client, server, and network sides to account for, and a myriad of possible bottlenecks and pitfalls in between. But fear not, we’ve got you covered. We’ll take you through the many methods currently available and explain some of the issues you may encounter along the way. How does it work, what are the potential problems, and who are the major players? There’s a lot of complex engineering involved in getting game streaming “right.” At its core, however, the concept is fairly straightforward. When you break things down, every game is essentially a collection of frames displayed on-screen that are affected by the gamer’s input. Multiple things must happen to run and interact with that game, but the on-screen imagery, audio, and interaction are what are ultimately conveyed to the gamer through the monitor, speakers, and input devices. It works by taking some of the game’s frames, converting them into a video stream on the fly, and transmitting the video out to a remote device. The game’s control interface and audio is also sent to the remote device, whether it be another PC, a smartphone, or a tablet. On some levels, streaming is like an interactive YouTube video. Almost every device currently available can smoothly stream a video from a site such as YouTube. But not every device can render and run a complex game. By leveraging the horsepower of a more capable machine to actually run the game, and then converting the game feed into a video stream, gamers can watch and/or play their game from a different device. 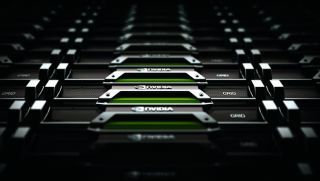 Nvidia’s GRID technology is the foundation of many game streaming services. The challenges associated with game streaming are significant, though. Modern hardware of all types (GPUs, mobile SoCs, CPUs and APUs, etc.) typically have the ability to encode HD quality video in real time with adequate frame and bitrates, so generating a video feed and broadcasting it out to another device isn’t an issue for the most part. And neither is streaming the audio, though streamed in-game audio tends to be sent as a stereo signal to save on bandwidth—not multichannel surround. GPUs, such as the one at the heart of this Nvidia GRID add-in board, are a part of what makes cloud gaming possible. The control schemes, however, can be tough to get right. Not only are there the plethora of input methods to consider, such as touchscreens, game controllers, plus keyboards and mice, but the lag associated with sending/receiving inputs can make a gamer feel disconnected from the game. If a game stream suffers from noticeable lag, or latency, the action on screen won’t be affected quickly enough, and the experience is degraded. As such, making effective use of available bandwidth and minimizing lag are the keys to good user experience. Image quality is also important, of course, but that’s easier to control by altering game settings or increasing compression on the video stream. Masking and minimizing lag is far more difficult. There are a multitude of companies involved with game streaming at the moment. AMD, Nvidia, Microsoft, Valve, Sony, and many others are directly involved with, or are inventing the technologies, that make game streaming possible or will enable new use cases in the future. Nvidia in particular is aggressively pushing game streaming forward on the PC, Android, and in the cloud. In fact, Nvidia’s GRID technology is arguably the de facto standard of most game streaming services. GRID is available from Amazon Web Services (AWS) and allows companies from around the world to rent capacity to build streaming services. GRID’s partners currently include companies such as G-cluster, Playcast, Gloud, Ubitus, and others. Nvidia was also involved with Gaikai before it was acquired by Sony. There are also non-gaming companies (we use that term loosely) involved in game streaming. Twitch.tv, for example, doesn’t necessarily provide any gaming-related services per say, but millions of people stream their games to the site nonetheless. Twitch doesn’t facilitate remote game play or offer interaction with the game stream, over and above chatting with the game streamer, but gamers still flock to the site in droves. Some visit Twitch for the entertainment factor alone, while others use it to find tips and tricks for their favorite game. As is usually the case with cutting edge technologies, the PC is at the forefront of game streaming. The PC can do it all—stream to services such as Twitch, stream to other PCs or devices, plus access games via the cloud, using whatever control scheme the user desires. Things aren’t quite so flexible on consoles just yet. Microsoft’s Xbox One and Sony’s PlayStation 4 both have the ability to record in-game action (for later editing or uploading), and they can stream games on-the-fl y for remote viewing, but to date they don’t offer the ability to stream games to another device. This won’t be the case forever, however. Sony has already announced that some upcoming Xperia-branded mobile devices will be able to stream PS4 games, while its acquisition of Gaikai and its PlayStation Now technology (which is currently in Beta) will eventually permeate a number of Sony’s gaming products. You can’t currently stream games from consoles to other devices, like PCs can, but that’s likely to change soon. Note, however, that certain types of game streaming are better suited to specifi c types of device. At this point in time, gamers have the ability to stream from PC to PC, from a PC (and soon console) to a mobile device or streaming video service, or directly from the cloud to a device. If you’ve got a powerful PC, it doesn’t make much sense to stream games from the cloud or another PC, since the best experience will be had by gaming locally. Gaming locally on a powerful PC ensures maximum image quality, minimal lag, and it eliminates potential bottlenecks on the network or web. With less powerful devices like a tablet, however, it may make sense to stream games from more powerful systems that can render imagery with more detail than may be possible on the device itself.